It was another amazing Sunday in San Francisco. Always out and about, I had spent the afternoon walking through Golden Gate Park and watching and listening to the drummers at Hippy Hill. The drummers, dancers, fire twirlers and all the people… one tribe… an absolutely awesome feeling. As I headed back home from the park I had a slight panic and instinctively touched my pocket… my grinder was gone! I had left it somewhere or with someone while on my walk. No worries, lots of head shops in the Haight. I stepped into a few of the shops to take a look at what they had to offer. I couldn’t help but think this selection is all pretty lame, especially the grinders, which were cheaply made in every sense of the word. As an engineer I knew that there had to be a way to craft a much higher quality grinder and that I was the guy to get it done. With a lot of hard work and precise engineering we finally released our first prototype grinder and Golden Gate Grinders was born. People loved our grinder enough to make us the highest reviewed grinder on Amazon…but that wasn’t enough for us. Our desire for precision and quality drove us to continue to hone our product, so we redesigned the grinder again. And again. And five years later we’ve released a product that we believe is the peak of technical achievement. Not only does our grinder satisfy our customers but it also does so without emptying their wallet. The only problem we have now is that we can’t keep these things in stock! That’s the thing about us here at Golden Gate Grinders—we are all about quality products for all of your herbal needs. All the way from the design process to manufacturing to becoming part of your daily arsenal of herbal tools, we never skimp when it comes to quality. This is true for all of our products; we never settle for anything less than the best and we NEVER stop improving our quality just because it’s “good enough.” Your feedback has helped us immensely and hopefully will continue to do so in the future. You don’t have to settle for those cheaply made grinders and you definitely don’t have to pay three times as much for products that charge for a brand name. We stand behind our product’s durability 100% and if you do happen to get one that doesn’t work as advertised we will take care of it for you. Do you want a no-hassle refund or a replacement? You choose. Either way we are here for you… our tribe. America’s great engineers built the Golden Gate Bridge to last for generations and our engineers have built our grinders to do the same. 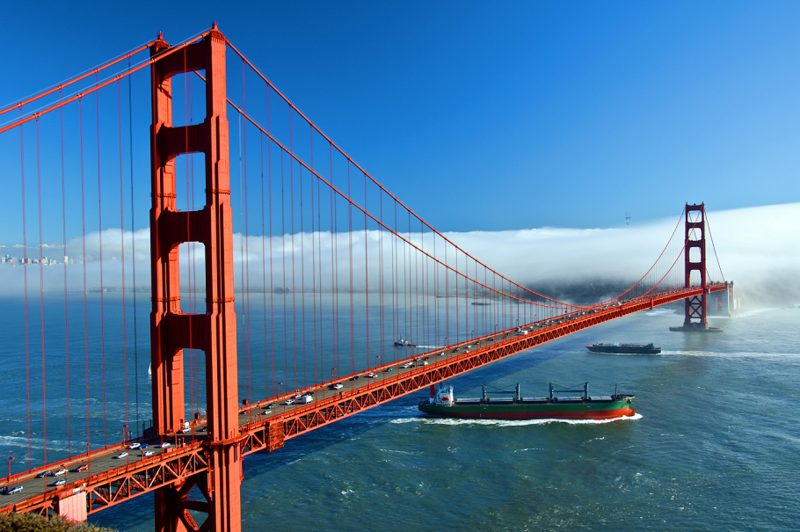 This is what inspired us to call ourselves Golden Gate Grinders. Give us a chance and you will see that we do the name justice.